The year 2013 just giving its way to a new year. It was a year of mixed fortune and feelings for many. Natural disasters beyond imagination that happened in Philippines and continuous man made calamities took several life known and unknown to us. It was also an year of achievements and hope for many. Dubai getting Expo 2020 was one such great occasion, which all residents of the UAE are keenly looking forward to. If there is a growth, it has to happen collectively and with all putting equal and combined effort. Road Safety is one important issue that I would wish everyone puts in a combined effort. This entry was posted in Gulf Today, HSE, Letters to the editor, Mind Speaks, Opinion 2013, Safety First, Short Take. This entry was posted in HSE, Letters to the editor, Mind Speaks, Opinion 2013, Safety First, The National. This will be a very good move as consumers can easily report violations with photo evidence directly. Supermarket chains have to be extra cautious from now on. Many instance I have noticed the ready to use fresh vegetable items in mixed pack have old items concealed at the bottom with fresh products at the top. This will not work as also many other negligence or even over sights. Wish and hope that the new application is used well and prove to be beneficial for consumers to get quality products. 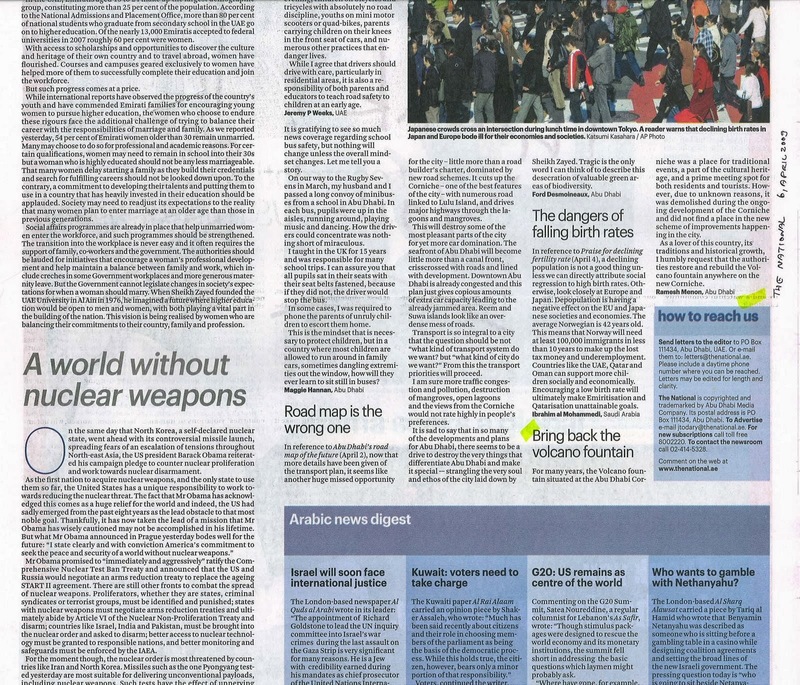 This entry was posted in HSE, Khaleej Times, Letters to the editor, Mind Speaks, Opinion 2013. This is in response to the article, “One hundred not out” (KT, December 27). It made an interesting reading and suddenly it brought out several motivational insights within me recapitulating the year 2013 that was. Cricket is an interesting game with lot of statistics and game loving statisticians keeping track of players and the game happening all over. In fact when we look at it, numbers fascinate us in many ways. We are all proudly looking forward to Expo 2020. We closely watched the digital clock when it passed to the next second on 11:12:13 at 14:15:16. Just like any sports, a reader and writer has to have nice platforms to write regularly and read on. We all cry aloud and alert when children don’t get sufficient sports facilities around. The authorities in the UAE are very generous and listen to us appropriately and the results of it are wonderful cityscape with young generation given adequate play opportunities around. The art of reading and writing also has to be approached in a similar manner. I congratulate the writer for scoring a century with Khaleej Times. That has inspired me to write more. A series of road and pavement repair work being carried out in sector 73 in Khalidiya is causing major inconvenience to the public. The entire area is marked for repair by the contracting company responsible for the project. They have also dug up the pavement and removed the bricks that have been stacked up randomly. 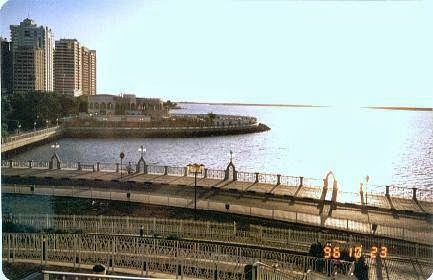 It’s a posh residential area with a high concentration of high-rises, restaurants, banks and other commercial establishments. In normal times, before the repair work began, availability of parking spaces was limited. So one can imagine the inconvenience it has caused to residents and visitors. The pieces of bricks and concrete also pose a grave danger to children. Apart from that, the lorries that keep plying in the area cause traffic chaos as there is limited space for vehicle movement. I humbly request the civic authorities to facilitate convenient passage for residents and vehicles. That could have been done easily by marking smaller segments for renovation, instead of marking an entire sector. It can still be done. This entry was posted in Community Reports, HSE, Letters to the editor, Mind Speaks, Opinion 2013, Photo Speaks, Safety First, The National, TQM. The inspirational moment I witnessed at the screening on Monday of Inside: Mission Kosovo will remain in my memory for a long time. Although it was taken on video in the presence of several people, the hug received by Lt Col Dr Aysha Sultan Al Dhaheri from a 12-year-old girl whom she delivered in Kosovo while on the UAE’s historical White Hands humanitarian mission, drew a wave of emotions. Similarly, school masters were happy to receive Lt Col Sultan Mohamed Al Katebi and his team after 12 years. Within these years, the little girl, Fatema, grew taller than the doctor who delivered her, and the makeshift schools in Kosovo had been transformed into full-fledged institutions with all facilities. Apart from that, the UAE also built hospitals and invested in infrastructure in that country. The emotions projected in the documentary show a job well done. Any nation involved in such magnanimous missions can easily pledge monetary support. However, it is the unsung heroes like Lt Col Al Dhaheri and Lt Col Al Katebi that make it possible for those affected by conflict and turmoil to get their lives back. The UAE indeed succeeded in giving a new lease of life to so many people in Kosovo by investing its time, money and effort to rebuild educational and health care infrastructure. Congratulations to the heroes of the UAE Armed Forces who participated in this effort. I also congratulate The National for presenting a wonderful documentary. I suggest a free copy of this documentary be distributed to all educational institutions and organisations, so as to create a larger awareness of the UAE’s silent efforts to alleviate human suffering. This entry was posted in Letters to the editor, Mind Speaks, Opinion 2013, The National, TQM. It could be a test of long-term residency. 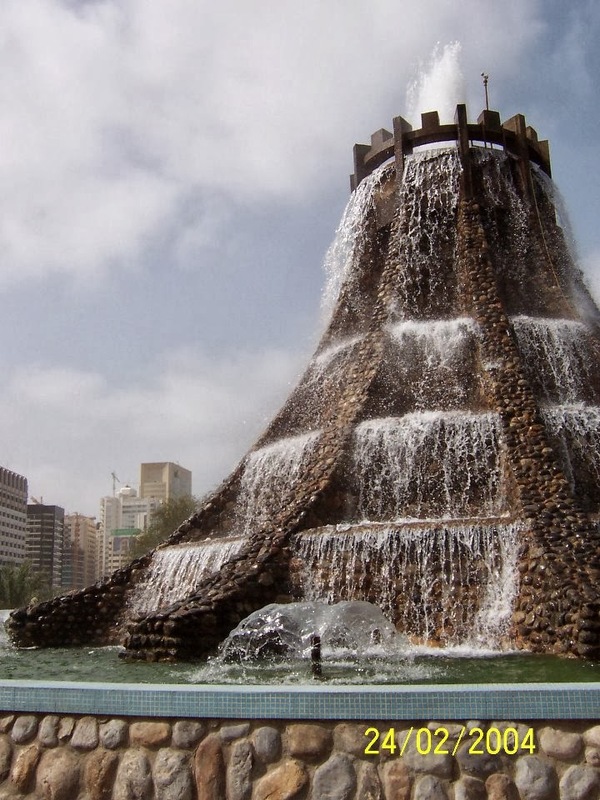 Ask anyone who has lived in Abu Dhabi for more than a decade whether they remember the Volcano Fountain and you’re likely to ignite an outpouring of memories. 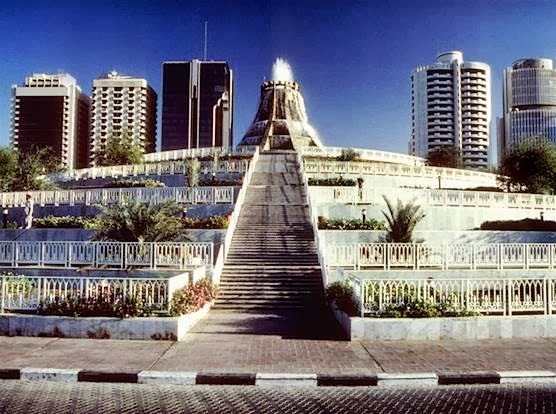 Built in the 1980s, elevated on a circular pier on the Corniche near the foot of Muroor, the fountain looked like something from The Flintstones, “a page right out of history”. 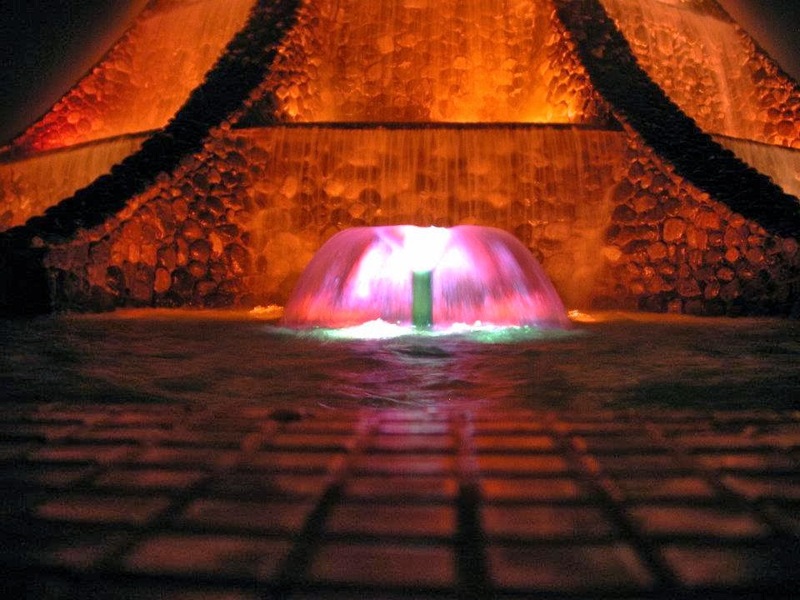 Also known as Al Shallal (waterfall in Arabic), the stone-paved fountain, surrounded by tiered gardens with flights of stairs leading up to its base, was lit up at night to give the cascading water the appearance of lava. Vendors sold fried peanuts, fresh chips, ice cream, newspapers and balloons, and photographers snapped pictures of people posing in front of it, much as they now do at the Burj Khalifa. 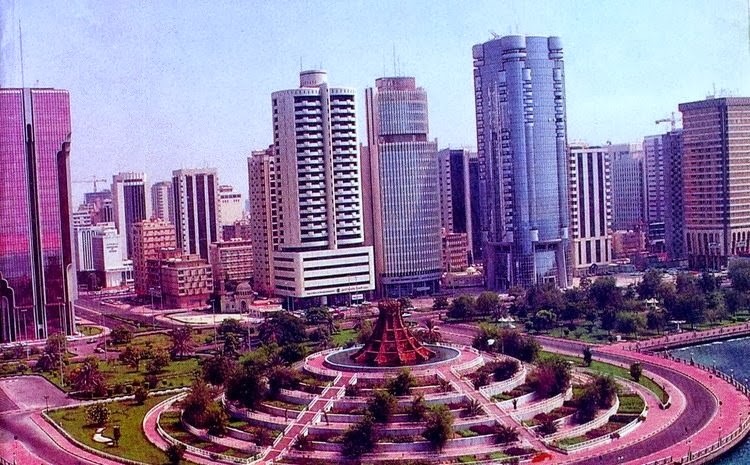 The fountain was called a must-see in guidebooks and featured on Abu Dhabi postcards. More significantly, it was a gathering place for the growing city’s many nationalities, at a time when there were fewer social options and no mobile phones to arrange a spontaneous meeting place. 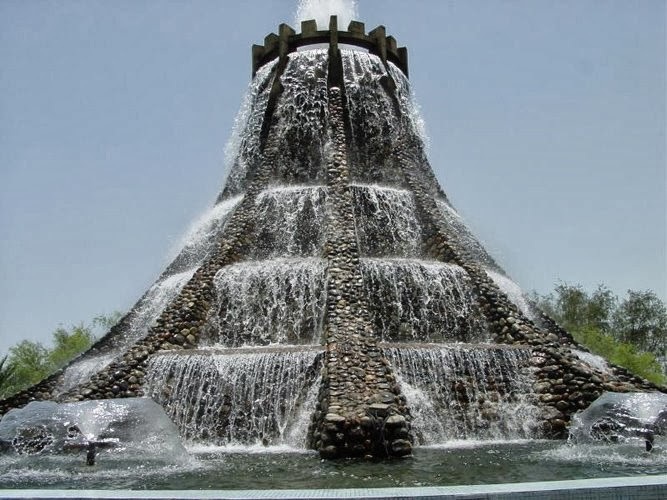 Abu Dhabi’s Volcano Fountain wasn’t alone in the world: one was built at Honolulu International Airport in the 1960s and a more grandiose version entertains crowds at the Mirage hotel in Las Vegas. But Abu Dhabi’s still takes a place of honour in online lists of the world’s most beautiful fountains, along with the Trevi Fountain in Rome and the Bellagio Fountains in Las Vegas. This entry was posted in Letters to the editor, Mind Speaks, Opinion 2013, The National, TQM, Volcano Fountain. This entry was posted in Abu Dhabi - Must Visit Tourist Spots, Abu Dhabi - Today in UAE, Letters to the editor, Mind Speaks, Opinion 2013, The National, TQM, Volcano Fountain. Walking along the Istiqlal street in Abu Dhabi recently, I was shocked to see pieces of bread had been thrown on to the pavement near an advertising sign. I realised that this was done by someone with the intention of feeding the birds, mostly pigeons, in the area. Although feeding birds may be considered a humane act or devotional gesture, it contributes to the bird droppings all around the area, including on parked cars and the windows and balconies of nearby buildings. The municipality is spending a huge amount of money to keep our city clean. Encouraging these birds to live in the inner-city area detracts from the environmental, ecological and aesthetic qualities of the locality. For this reason, I think that feeding birds in the city should be discouraged. Instead, feeding areas for birds and other animals could be set up in public parks and gardens. This entry was posted in HSE, Letters to the editor, Mind Speaks, Opinion 2013, The National. 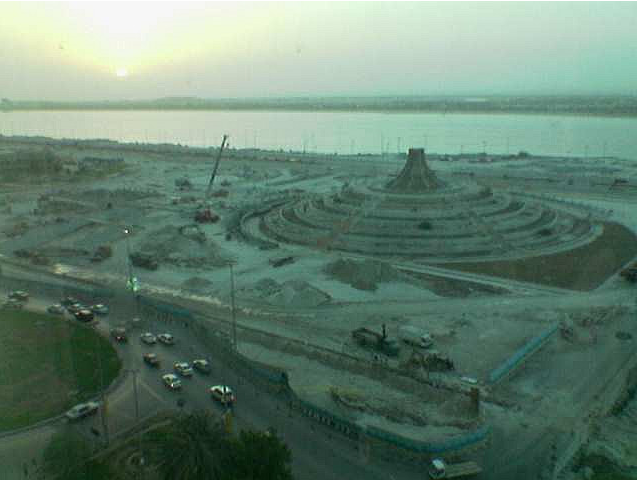 Many in Abu Dhabi especially those who grew up seeing the fountain miss it. But one man has decided to take the initiative to bring this beautiful fountain back. 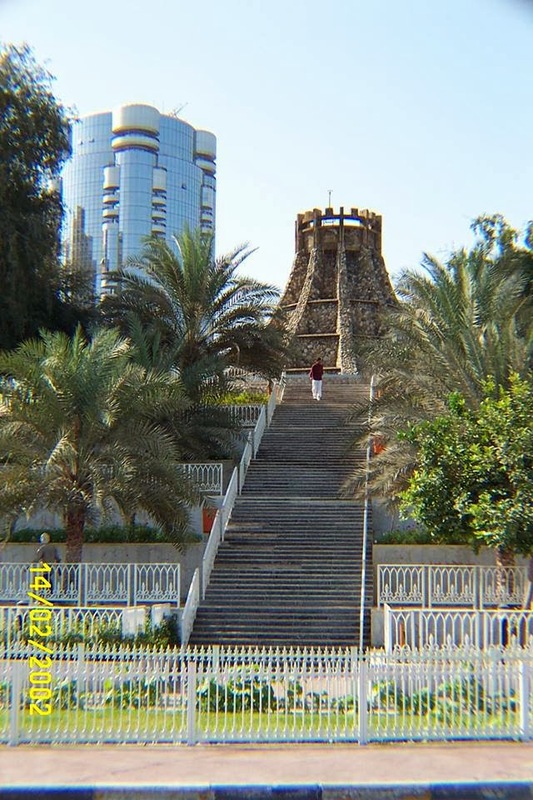 Ramesh Menon, an Indian who works in the capital, has sent a petition to the authorities in Abu Dhabi asking them to find the right place to restore this grand monument to the city. “This will make a difference in Abu Dhabi; it will keep a lot of memories alive and attract various people. There are many who have taken interest and joined in this petition. 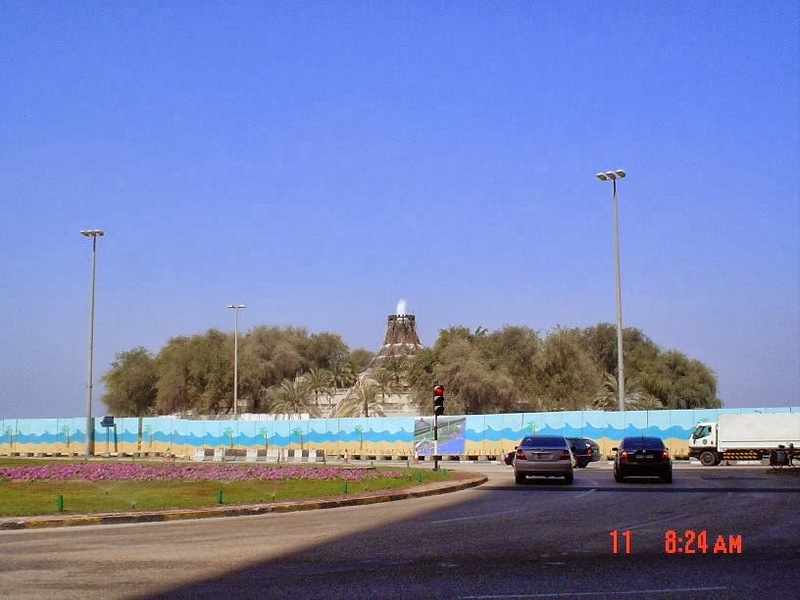 As lovers of this country, tradition, and historical growth, we all want the Volcano Fountain to be restored, rebuilt anywhere in the new Corniche or any other befitting place in Abu Dhabi, says Menon. 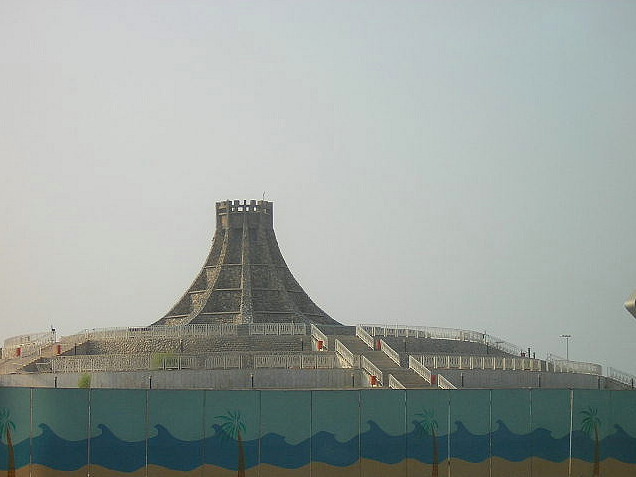 “How can we forget that Abu Dhabi was synonymous with this fountain until 2004, and now it’s gone,” Menon reminds us who has been in the city for decades. 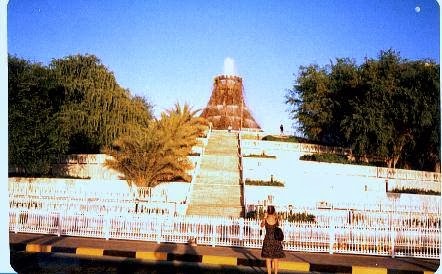 This entry was posted in Mind Speaks, Opinion 2013, TQM, Volcano Fountain.